At a party I hosted with some friends at the end of January (we made some awesome cards which you can see here), I wanted to provide some sweet treats for my guests. I made my most favorite chocolate almond butter cups and asked a few gals to bring something as well. Since most of us are on some sort of no grain, no dairy, no gluten eating plan, I was hopeful to glean some new recipes as well. One of the girls, Bethany (she and her husband are like family to us!) brought these incredible fudgy brownies. They were fudgy chocolateness, moist deliciousness, and I could have eaten them all! 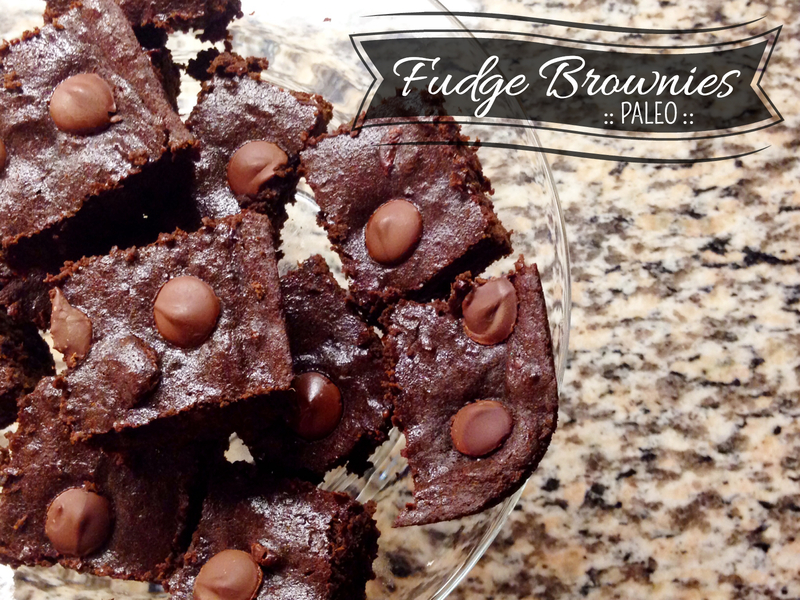 They were chocolatey goodness in a little square, and perfect with a cup of coffee! Here’s a similar recipe to Bethany’s (courtesy of therealfoodguide.com) so you can make these for your next party, or just to give yourself a little treat at the end of a long day. Once you’ve cooked your sweet potato, scrape the sweet potato away from the skin and mash it with a fork. Then set aside the 1 cup of mashed sweet potato. In a double boiler, melt the baking chocolate, coconut milk and coconut oil over medium heat. Once the chocolate has melted into a smooth mixture, take it off the heat and quickly pour into a mixing bowl where you will add your other ingredients. In your mixing bowl, add the honey or maple syrup, mashed sweet potato, vanilla, salt and baking soda. Blend well. Slowly add the cocoa powder, coconut flour and tapioca powder and mix until smooth. If you want them really chocolatey, fold in half a cup of chocolate chips (I’d recommend this!). Pour the batter into a 8″ x 8″ baking pan. Bake for 20 minutes or until it passes the toothpick test. Let cool slightly, add a chocolate chip on top and then cut into squares. YUM! Find more from my February Sweet Treats Series here!